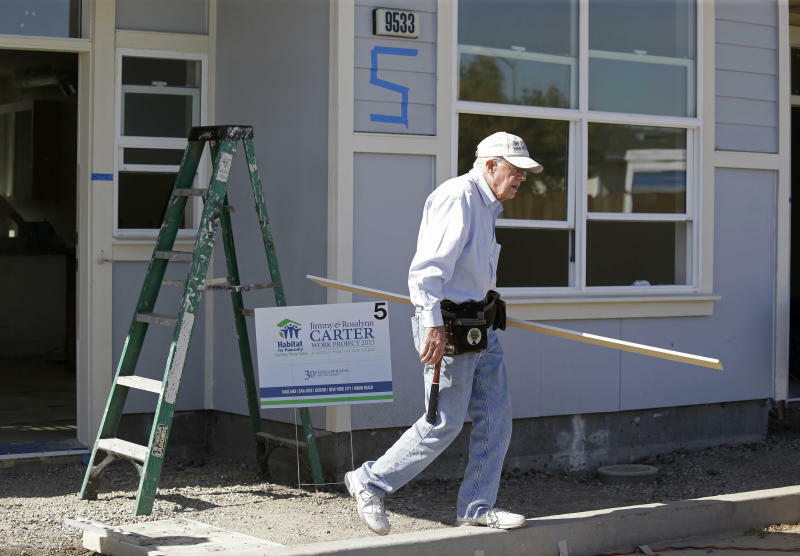 OAKLAND, Calif. (AP) -- Former President Jimmy Carter said Monday that the income gap in the United States has increased to the point where members of the middle class resemble the Americans who lived in poverty when he occupied the White House. The recent economic downturn revealed that families living in even comparatively well-off, but expensive regions like the San Francisco Bay Area are economically insecure, he said. "Even in one of the wealthiest parts of the world there is a great deal of foreclosures and now a great deal of people who are fortunate to own their own houses owe more on them than the houses are worth in the present market, and that's all changed in the last eight years," Carter said during an exclusive interview with The Associated Press. "Equity of taxation and treating the middle class with a great deal of attention, providing funding for people in true need, like for affordable housing, those are the sort of things that would pay rich dividends for Americans no matter what kind of income they have," said Carter, looking relaxed in a baseball cap, blue jeans and white sneakers. "The richest people in America would be better off if everybody lived in a decent home and had a chance to pay for it, and if everyone had enough income even if they had a daily job to be good buyers for the products that are produced." On Tuesday, the former president and first lady are scheduled to help renovate homes in a section of Silicon Valley that has remained immune to the wealth generated by the high-tech industry. After that, they intend to travel to Denver, New York and Union Beach, N.J., where they will help rebuild homes wiped out by Hurricane Sandy.